Earl Ball Speaks: Betmar drew 47 teams to the No 2 Pro Tournament, by far the largest tournament of the season in the Central District. We had many new Amateurs and hope to keep them playing tournaments. 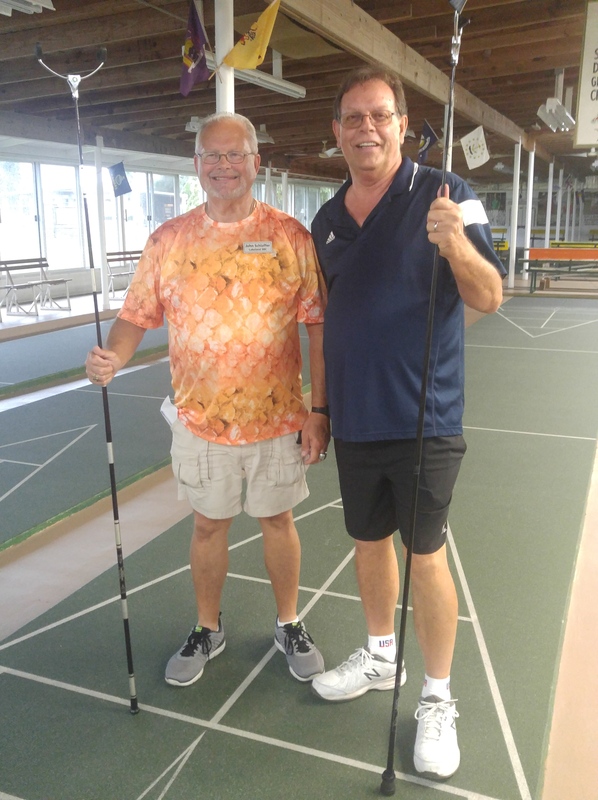 Dean Myklejord, Lakeland past President, teamed with their new President, John Schlaffer to win the Championship. The last match was the most exciting for the large number of spectators because Dean and John lost the 1st game and trailed 50-15 in the 2nd game before coming back to win, and in so doing, took the wind out of the other team. The final game wasn’t close. Thanks to Earl Ball for sending this report!! Stan; 2018 11 03.